A Suffolk County Community College’s (SCCC) STEP student’s research poster and accompanying oral presentation was well received at the 2017 Step Statewide Student Research Poster Competition (March 24-26, 2017, Albany, NY) and the Long Island STEM Diversity Summit Student Research Poster Competition (March 17, 2017 Farmingdale State College). Rodrigo Castillo (11th grade, Riverhead High School), participated in the STEP poster research competition at the STEP Statewide Conference, Biological Sciences – Senior Division, for his project, Testing for Oral Antibiotic Resistance: Transmission from Dogs to Owners. Twenty (20) STEP students participated in the poster presentation at the Long Island STEM Diversity Summit with Samuel Lorenzo from Patchogue-Medford placing at this event. On April 18, 2017, ten (10) STEP students participated in poster presentations and allied health showcases with other students from across Long Island. 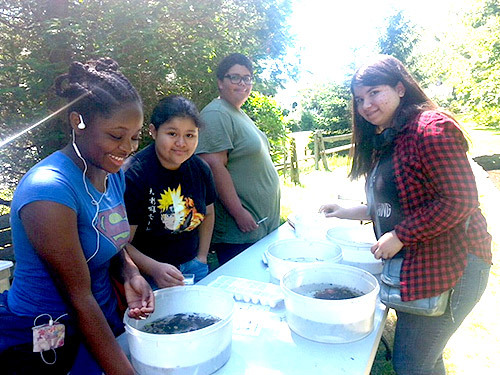 Over fifty (50) STEP High School and Middle School participants from Brentwood, Central Islip, Longwood and South Country school districts traveled to CSHFH on 6/26/17 to explore the fish hatchery and hands-on activities collecting freshwater animals with a seine and dip nets. 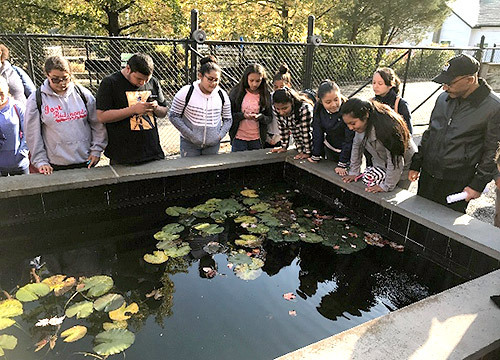 STEP students returned to the Hatchery on October 28, 2017. 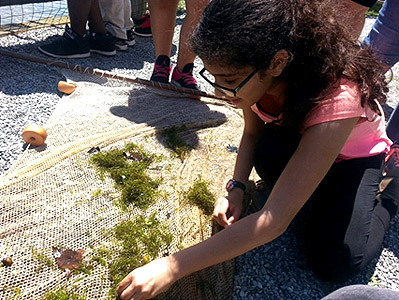 Suffolk County Community College’s STEP was pleased to have several students participate in various summer science exploration programs. Esmeralda Acevedo-Velasquez, Samuel Lorenzo, Tristan Moreau and Zen Ho Sang, participated in the 2017 STEP/Brookhaven National Laboratory (BNL) Summer of Science at SBU weeklong research; Tyler Bond participated in the 2017 Physics: The Optics of BNL’s Biggest Machinesand Samuel Lorenzo participated in the 2017 Biotechnology at Brookhaven National Laboratory. Included with these great opportunities offered to the STEP participants, the students participate in lab experiments and have classes on Saturdays in science, math and writing. Tutoring is also available during the week to assist the students with regents’ prep, school math and science classes.